We are delighted to announce that planning is in full swing for GEO's 2019 Australia Events in Melbourne and Sydney! GEO's Australia Chapters will be organizing four events in 2019. 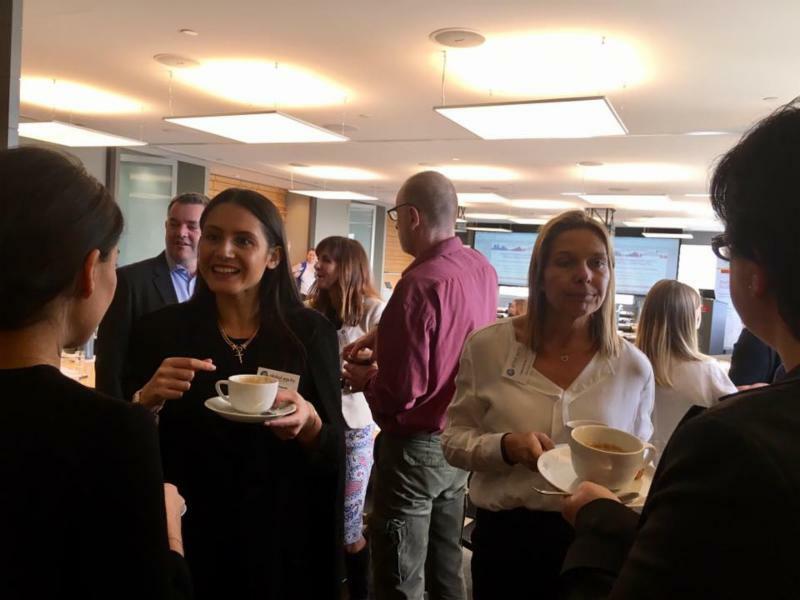 If you are interested in raising your company profile by hosting the events at your offices and/or selecting a bespoke sponsorship package, we want to hear from you! If your organization is interested in hosting and/or sponsoring, please contact us no later than 16 April with your preference on date and location (please indicate 1st, 2nd, 3rd and 4th choices) and confirm that you can meet the above hosting requirements. If you have questions or need additional assistance, please feel free to contact GEO or your local Australian GEO Board members at GEOsydney@globalequity.org or GEOmelbourne@globalequity.org. GEO members and non-members are welcome to attend these events. Registration is required and will open soon. GEO's 2018 Regional Event in Melbourne was designed for professionals working in human resources, legal, administration or tax who are interested in learning more about employee equity. Country specific considerations, regulations and taxation make it critical to stay abreast of the current industry and economic environment. Attendees learned about the latest developments from local practitioners. These events featured multiple sessions that covered everything you need to know to keep you up-to-date. 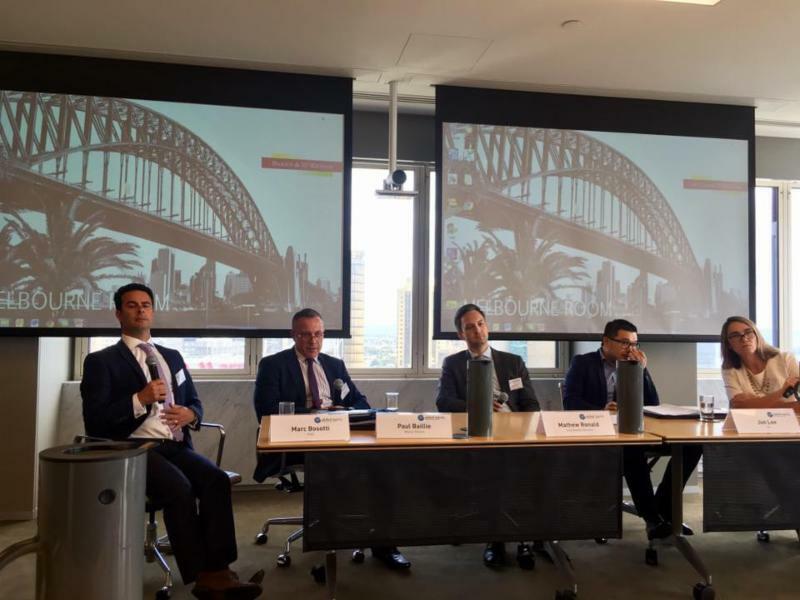 GEO also offered this event in Sydney on Thursday, 18 October 2018. Please give us a quick introduction of who you are, what you do. How long have you been involved with GEO? How many GEO Annual Conferences (Australia and overseas) have you attended before? Why did you decide to attend this GEO Orlando conference? As a service provider / issuer, what are the main benefits that you get out of attending the Annual Conference? What for you was the highlight of this year's Annual Conference? How do you think the learnings you get from the Global Conference translate to the local Australian market? How do you think GEO Orlando conference is different from the local GEO Australia conference? Gender Pay: Mind the Gap! Annual equity reporting updates in Australia, APAC and around the world. This will address changes in Australian ESS 2018 reporting, highlights from a recent Deloitte pulse survey on annual equity reporting in the APAC region, and a reminder of upcoming equity reporting deadlines around the globe. GEO's 2017 Regional Event in Melbourne was designed for professionals working in human resources, legal, administration or tax who are interested in learning more about employee equity. Country specific considerations, regulations and taxation make it critical to stay abreast of the current industry and economic environment. GEO also offered this event in Sydney on Thursday, 12 October 2017. Highlights from GEO's 18th Annual Conference in Rome, Italy, including insights into global trends, plan design, communications and more. GEO's 2016 Regional Event in Melbourne was designed for professionals working in human resources, legal, administration or tax who are interested in learning more about employee equity. Country specific considerations, regulations and taxation make it critical to stay abreast of the current industry and economic environment. GEO also offered this event in Sydney on Thursday, 13 October 2016. Attendees joined us for a close look at some of the highlights from GEO's 17th Annual Conference in Boston. Wel also had the opportunity to hear from experts about the practical effects of the ATO's new requirements for the 2016 ESS reporting season. GEO's 2015 regional event in Melbourne was designed for professionals working in human resources, legal, administration or tax who are interested in learning more about employee equity. Country specific considerations, regulations and taxation make it critical to stay abreast of the current industry and economic environment. GEO also offered this event in Sydney on Thursday, 13 October 2015. The equity compensation landscape is undergoing significant change. Stay on top of the developments and what they mean for your company. Our panel of expert speakers discussed the tax and regulatory reforms and what impact they will have for employee share plans both large and small. GEO's 2014 regional event in Melbourne was designed for professionals working in human resources, legal, administration or tax who are interested in learning more about employee equity. Country specific considerations, regulations and taxation make it critical to stay abreast of the current industry and economic environment. GEO also offered this event in Sydney on Tuesday, 14 October 2014. GEO's 2013 regional event in Melbourne was designed for professionals working in human resources, legal, administration or tax who are interested in learning more about employee equity. Country specific considerations, regulations and taxation make it critical to stay abreast of the current industry and economic environment. Attendees learned about the latest developments from local practitioners. These events featured multiple sessions that cover everything you need to know to keep you up-to-date. GEO also offered this event in Sydney on Thursday, 21 November 2013.